Do you know of any Pools in Tilburg that should be listed here? Contact us!. The perfect varieties of Tilburg Swimming Pool are situated mainly in huge cities, but it is also painless to discover public pools in rural locations. Before trying any pool, be sure you know the rules and regulations for varieties of Tilburg Swimming Pool as they may not be the same as in your home town. We recommend you get in touch with the pool directly to ask if you will need a hat, and what kind of footwear or certain clothing you will need. Traveling to Tilburg? This can be the perfect spot on the web to find places to swim in Tilburg. Each day you are not swimming you're losing precious time in improving your abilities to be a better swimmer! No more excuses! 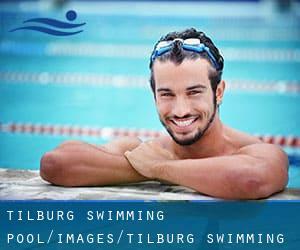 Get your nearest Tilburg Pool and tell us how it went. Please use the contact information and facts provided at every pool profile to check if they are offering aquagym lessons, considering that just isn't so common to determine an Aquagym in Tilburg. For Tilburg and its vicinity, we're showing you all the registered pools, a few of them have no GPS coordinates and can't be identified on the map at the map. There are several reasons why you must choose a heated swimming pool in Tilburg. The most vital one relies on the importance of keeping the body temperature stable. When the water is too cold, your body will try to warm it up and you will lose strength to swim appropriately. One in the advantages of outdoor swimming in Tilburg would be the possibility to sunbathe during the summer season. Taking it with additional care, sunbathing is healthy given that introduces Vitamin D into the body, so the most effective selection seems to be switching in between indoor and outdoor pools depending on the season. Enjoy the best indoor pools in Tilburg and don't worry about the weather. These facilities are open all seasons and you can enjoy a swim at the same temperature every day of the year. Updated on 2019 Heereveldendreef 8 , Tilburg , NETHERLANDS (Postal Code: 5043 EX). Among all the activities offered by the center, when you are interested in swimming you can enjoy 25 meters x 15 meters, Indoors. Just in case you want to get in touch with this Swimming Pool before dropping by, we only know the phone number.